I thought I would share a few of the dumbest financial moves I have ever made. 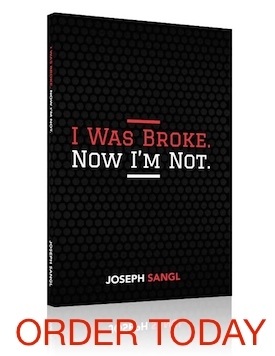 As I wrote these, I experienced some feelings of frustration, regret, pain, a distress that I felt when I was totally broke. Ahhh…yes – I’m feeling your pain as I remember mine! One of my dumbest financial moves was thinking I wanted to start up my own business and sunk $25K+ into equipment, only to never “get around” to launching it (for various reasons, which are part of the pain!) The equipment sat in my garage for 4 years and finally donated to a charitable organization. Sure do wish I would have saved that $25K and really thought through what I was doing!!! Student loans!! I took out an extra $5K a semester to cover “living expenses”. Funny how my much my definition of “living expenses” has changed since I’ve had kids. Opening our first credit card account as a newly married couple so I could buy my husband a brand new 3,000 electric guitar! In a moment of weakness while on vacation I bought a time share, which upon reflection is really a 99 year obligation to send someone a large annual fee (that can of course go up) plus special assessments. But I got such a great deal on it because it was a repossession from a corporate bankruptcy and I was paying cash rather than financing so they dropped the price even further. Yea – five minutes of internet research would have revealed that there are people so desperate to get out of them that I could have bought one on the secondary market for $1. Live, learn, and make the best of it.